Driving tour of the historic Stone Houses included! 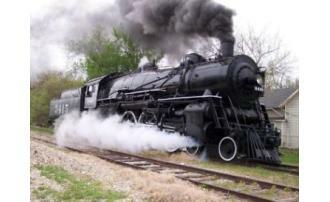 Ride the regular excursion train from Abilene to Enterprise departing at 10:00 AM. Transfer to the Silver Flyer Railbus at the Enterprise Depot for a short tour of the city of Enterprise. The railbus will then set on the rails on the east edge of Enterprise for a 12 mile ride on the historic and scenic stretch of our railroad between Enterprise and Woodbine that our train does not have access to.